If you have ever longed for an iPad app to do 3D planning and modelling then Roomle is definitely worth a look. It lets you design, build and furnish home or office spaces with ease, and it produces results that will instantly impress. It’s a free app, and it could be a great way for students to explore some 3D modelling on the iPad. You might even use it to create your own learning space. You begin your design in 2D and draw out a birds-eye view of the room or building you want to design. Walls are easily drawn with a drag of your finger with measurements and angles included to give as much realism as possible. 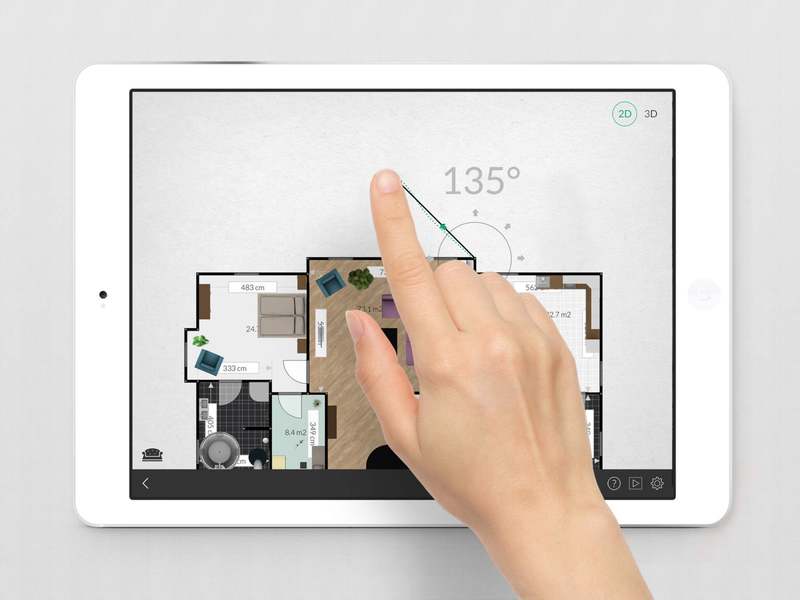 Pinching the screen lets you zoom in and out of your floor plan as required. When you have your basic layout drawn out, it’s time to add the details. 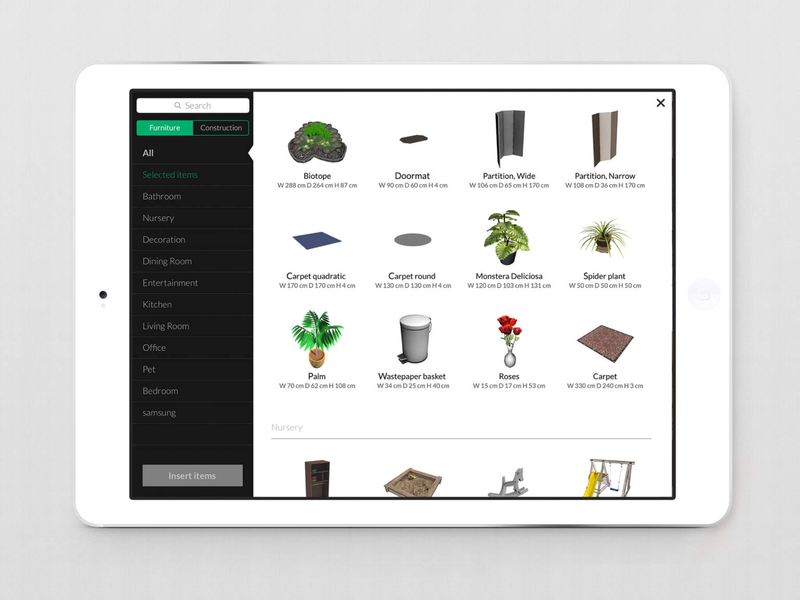 The app has a library of different furniture and construction elements that can be added to your design. Chairs, tables, plants, flooring, appliances and more can be added. You can also add doors, windows, fireplaces and staircases. The library of objects may not have everything you want, but with hundreds of objects and accessories, there is a great selection that will doubtless have most of what you need. With your furnishings in place, it is time to take a look at your design up close. So, tap the 3D button and you will be able to view your creation in all its 3D glory. You can even drop in at eye-level and walk through your design with the aid of a couple of on-screen joysticks. There is also an augmented reality view that lets you view specific furniture items/sets in a real life space. Want to take it a step further? You could record your iPad screen while exploring in 3D mode so that students could share their creations online with others.